In this guide you will find out the step by step instructions to root the Micromax Bolt A62 smartphone. It comes with the android 2.3 Gingerbread firmware; in case if you want to update the smartphone to ICS or Jellybean then you must root your device. Because, it is not yet officially announced. But before start to root; keep in mind that it will void your device warranty. So, think twice or thrice before you perform. Since, many rooting methods are available to root the device; it is easy to root with the help of ROM Manager. But for some cases, this method will not work on the device. At such situation you need to do that manually. 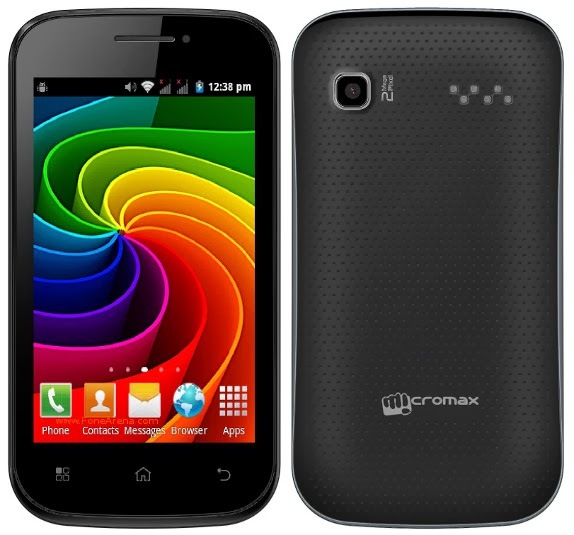 Here I have discussed two methods to root the Micromax Bolt A62 smartphone. Choose the one which is convenient and easy for you. Backup all your internal stuffs and datas which was available on your phone with the help of backup applications. Next install the Micromax USB driver on your PC. It is essential to connect your phone and the computer. Then enable the USB Debugging mode from development section (you will get it after you connect the device and PC). If you are not getting this option don’t panic just continue as such. Finally, check the battery percentage level of your Micromax Bolt A62 and if it is less than 75% let them to charge fully. First download the Moborobo and Unlock root tool from here. Once you downloaded both the files then extract and install the same on your computer. Then take the USB cable and connect your Micromax Bolt A62 smartphone to your PC. Now, open the Moborobo application on your computer. It will say that your android smartphone was connected successfully to the computer. Next run the Unlock root tool on your computer and click the green button which shows the “Root”. The device list will pop up. Just select your device from that list. After that it will again pop up a new message which will ask to ‘reboot your phone’. You need to click the ‘Yes’ option to reboot the device. Now, the rooting process will start on your Micromax Bolt A62 smartphone. Once the process was finished it will reboot automatically. So, wait until patiently. In case, if it doesn’t reboot automatically, do manually. That’s it! Now, you successfully rooted your Micromax Bolt A62 smartphone. Incase, if you are fail with the first method then try the second method which have been given below. To perform this method, you need to download the Bin4ry tool. Once you downloaded this tool extract the same on your computer. Open the “Runme.bat” from the extracted folder and choose the option “1-in normal mode”. Then follow the on-screen instructions to finish the process. Once the process was completed, reboot your phone. That’s it! Now, your device was rooted successfully. If you want to check whether your Micromax Bolt A62 smartphone was rooted or not download the “Root Checker” app from “Google Play Store” and install the same on your phone. If your device was rooted; install the custom ROMs or firmwares you want and enjoy it’s features on your phone.